It was the Russians! That's the proclamation from the official investigators looking into to events of the 17th July 2014 that caused the downing of Malaysia Airlines flight over eastern Ukraine. All 298 people on the Malaysia Airlines Boeing 777 were killed when the aircraft blew apart mid-air on a flight heading to Kuala Lumpur from Amsterdam. Air traffic control lost contact with the aircraft approximately 50km (30 miles) from the Russia-Ukraine border. It crashed in the Donetsk area, in territory controlled by pro-Russian separatists. In the days that followed the horrendous act, the Ukrainian government released footage that suggested a Buk missile had been brought in from Russia on the day of the crash and then taken back across the border the next day. Now, for the first time, the Dutch-led investigation team have confirmed the missile had come from a unit based in western Russia. Wilbert Paulissen, a Dutch official from the Joint Investigation Team (JIT), told the media "All the vehicles in a convoy carrying the missile were part of the Russian armed forces." He reaffirmed the JIT's conclusion that the Boeing 777 had been destroyed by a Russian-made Buk missile, adding that it had been supplied by the country's 53rd anti-aircraft brigade in Kursk. During a news conference in Utrecht, the investigators also showed social media pictures which confirm the route the missile convoy had taken to reach eastern Ukraine. 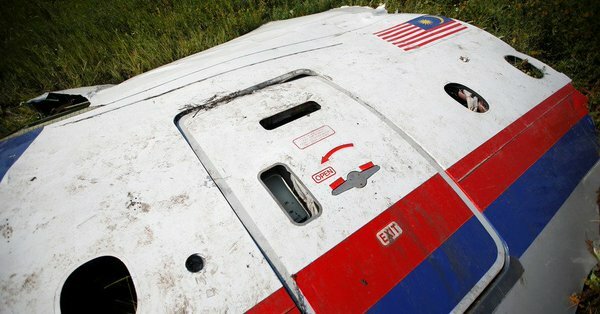 The JIT - is made up of officials and investigators from the Netherlands, Australia, Belgium, Malaysia and Ukraine, it's sole aim was to discover exactly what happened to MH17. Russia officials have denied any involvement. French President Emmanuel Macron on Thursday pressed Russia to deal constructively with a Dutch investigation into the shooting down of a Malaysian airliner over Ukraine in 2014.